Peer endorsement… I’ve had the privilege of knowing Richard Moat for many years. He is one of the most sincere, talented and passionate individuals I have ever come across. His work is changing lives.” Dr Mark Atkinson, Medical Doctor & Founder of the Academy of Human Potential. Claire and PMT pain… Thanks so much Richard for your assistance with my ongoing physical concern. I have experienced severe debilitating monthly period pain for over 20 years. It was so severe I have taken a lot of time off school, university and work, it has led me cancel many social events and left me bed-ridden with excruciating pain and considerable fatigue and negative moods for a whole week each month. No medical intervention or pharmaceuticals have helped, nor have dietary changes or any other alternative healing interventions. A couple of months ago I started weekly acupuncture which eradicated the PMT problems but did not resolve the issues during my period. DVD… Richard is featured in the documentary Project 10 10 10: Pill or Perception? alongside luminaries in the field of personal development such as Joe Dispenza and Bruce Lipton. Wendy and leg cramp… I had been experiencing episodes of a very painful ‘gripping’ cramp in a thigh muscle, on an almost daily basis over at least the last 5 years. I had had numerous body therapy treatments during that time, but to no avail. I went to see Richard Moat and a few days after the first session, I realised that I had not been getting the cramp, despite the usual situations which set it off. Bernie and skin problems… I have had an interesting two weeks in terms of getting to know myself all over again – my skin has improved, I feel happier but more importantly a lot calmer… I am looking at things and situations with new eyes for sure – I know I have changed; your help and guidance has been amazing. I’m smiling more and its amazing, people smile back… Thank you – I now believe you that my life will never be the same again. Kind regards from a very calm Bernie! Weight change clients Janie, Candice & Julie… read Janie’s full story here, as well as review peer praise and other testimonials from clients who successfully overcame the blocks to being the size, shape and weight they wished for. 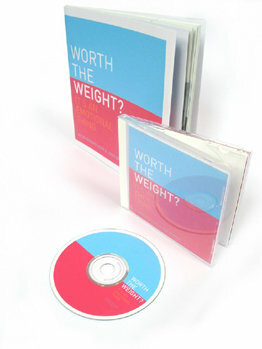 The success of the weight change programme gave rise to a book and CD, which are presently being updated to reflect changes in the programme over the last six years. Make sure you ‘Stay Connected’ to find out about the re-launch. Coaching client Andreas… Richard saved my life. For many years I attended all the seminars, read all the books and came across many so called experts (whom were more than happy to take my money), and none have been able to help me unlock the potential within me like Richard has. Prior to meeting Richard I was seriously unhappy, fearful, angry, emotionally frustrated, in financial difficulty, holding huge resentments towards my family, friends, women and the world in general – in short, I was dying slowly. As soon as I had a session with Richard, I felt a huge weight lifted off me immediately, I felt a new sense of rejuvenation, liberation, empowerment, responsibility, love, respect and inspiration for life, people and the world. I have a more athletic body, my finances are better, my corporate career is flying, but none of this matters because they are all side effects of one key thing – being happy and doing the maximum possible. Coaching client Fiona… I am writing to you to say a huge thank-you for what you have done for me. Words cannot describe my gratitude. As you know, I came to you pretty much broken. Physically, I had lost my health (which had forced me into reflection), I was an emotional wreck and I felt empty, as if someone had ripped my stuffing out, in fact I had lost the energy of life and the energy to live. From the outside it looked like I had everything, achieving things that most people have found impossible: fantastic income, lifestyle and the choice of when or not to work. But on the inside I was dying and worst of all, I felt as if I was separate from my family and my children. I felt like I simply didn’t belong anywhere. It’s hard to put into words the changes in my life since coming to see you, and it is even harder to believe how quickly the changes and turnaround in my life have happened. Whereas before I felt fragmented, I now feel like there is nothing missing from me, and nothing missing in my life. I have forgotten what that daily feeling of stress and overwhelm are, I am able to embrace the clouds that arrived in my life and bless them. It’s an amazing feeling of peace and wholeness. Stacey and skin problems… I had been suffering with eczema for 8 months and was getting repeat infections. Enough was enough as it interfered with my work as a massage therapist. I had an initial consultation with Richard, which was amazing. Claire and digestive system problems… I decided to go to Richard after seeing amazing results with a friend. I’ve had a problem with my digestive system for 14 years. I tried so many different things over the years and nothing had worked. So I was a little skeptical because of this as I had paid a lot of money trying different things. I almost have to pinch myself today as my problem has been resolved. All those years and all it took was an hour with Richard. Not only did it resolve my problem, I learnt more about myself in an hour than I had learnt with any one else. Mary and bone pain/cancer… I started getting bone pain in my left thigh that was particularly bad at night and felt like over several days was moving into my hip/pelvis region. I was trying to shut out the fear of bone cancer because that is what the cancer markers also indicated. Ali and fibromyalgia… I’ve had crippling pain for nearly twenty years which at times has kept me bedridden for weeks on end. Fibromyalgia had more of my life than I did. I’ve learnt techniques which allowed me not only to reduce pain alarmingly, I’ve also learnt how to identify the reasons for all sorts of pain, injuries, illnesses, lack of confidence and drive, difficulties dealing with certain people and situations, and, finally, be able to do something truly constructive about it. Coaching client Dawn… Richard is a great listener, never judges me or my behaviour and has an ‘ask’ rather than ‘tell’ style. He makes me think in a different way, encouraging me to be my natural self. Ed and skin problems… I have followed through on some of the tasking you have set me and I know that there is still more for me to do. I feel now that I am expressing my emotions more and, more importantly, enforcing my boundaries. I saw straight away that some healing of my skin happened and I notice that when it flares up there is something in my life that I need to pay attention to. I have for the first summer in a long time got my legs out, which I know sounds like a small thing, but for me was something I wanted to do but never felt comfortable doing it. Thank you! Seminar attendee Wayne… Well many thanks for another awesome day on the weekend. Sometimes the smallest things can have the biggest impact. As you know, only minutes after the day was officially over I had the opportunity present itself to address something and the result is SO empowering and awesome. I am blown away by the effect this had had on me – the result/impact of this is immeasurable. SO happy to have this barrier dissolved. On another note, our family has been and is being affected as a result of our learnings. I currently am having the opportunity to effect 4 generations in my family. What a privilege to be in a place to be able to help others with their journey while learning ourselves of course. Student Hilary… I’ve always been trapped in the classic, self-deprecating, conditioned stories that “too-good-to-be-true, sustained shifts will only happen to other people in seminars and workshops”, and “I’ll never be good enough to use these techniques outside the cocoon of workshop guidance”. Well, both those stories have been blasted to oblivion! Laura and dizziness… I was at my wits end and had just checked myself out of hospital with the doctors unable to specifically diagnose the cause of my dizziness and how to treat it effectively without the use of loads of medication. I was unable to walk without getting very dizzy and continuously felt ill and suffered with severe headaches and migraines as well as various other symptoms. In addition to this, I suffered with knee problems which continued to perpetuate even after 2 operations and physiotherapy. I also had asthma and was regularly getting chest infections and having to be hospitalized for treatment. Richard helped me to get to the root cause of my issues on an emotional level, and by working through and finally dealing with them on both a conscious and subconscious level, resolved all of them, resulting in being the healthiest I have ever been. And just as important, I am now the happiest I’ve ever been in my life and am creating and achieving all I wish for myself. Richard is an amazing and gifted professional. His calm, non-judgmental and friendly disposition immediately puts you at ease. He has the uncanny knack of quickly honing in on the real issues and problems, even those which at times I was unaware of consciously and, by merely talking to him, was then able to identify and deal with. Whether I experienced up or downs, Richard always maintained a reassuring yet assertive attitude which in itself was very comforting and helped me feel totally secure in the process and with whatever I was experiencing both physically and emotionally. Having seen psychiatrists, psychologists and counsellors in the past, Richard is the first person who has ever helped me with actually dealing with letting go of the past and finding new empowering ways of living my life and moving forward. I now consider Richard as a friend and a mentor and will always be grateful for the expertise, kindness and caring he shared. Coaching client James… The most enlightening lesson from working with Richard was that stressing or worrying about a situation over which I have no control is futile, understanding that if I have control then I have the power to alter whatever might be causing that situation. Seminar attendee Aram… I just wanted to drop you a quick line to say well done for such a wonderful seminar. I had a massive headache by time I got home. Coaching client Kerina… I have improved my communication skills at work and learned to assess situations more. I now think before I react to people, have changed my behaviour to become more assertive and understand the need to respect that people have different values to mine. I have managed to get the desired responses from people who have previously been negative towards me, turned my health around, facilitated many life changes and developed a more positive outlook. Dear Richard – this is the board I broke using my right hand on Sunday. It’s hard to find the words to express what this means to me. I truly believed I would never regain the full use of my hand, until I met you.